Citrine is named after the French name for ‘Lemon’ that is “citron”. It is named so as the colour of this semi precious gemstone is similar to the colour of the lemon. It is the November birthstone and anniversary stone for 13th year of marriage. It is the member of the quartz family. 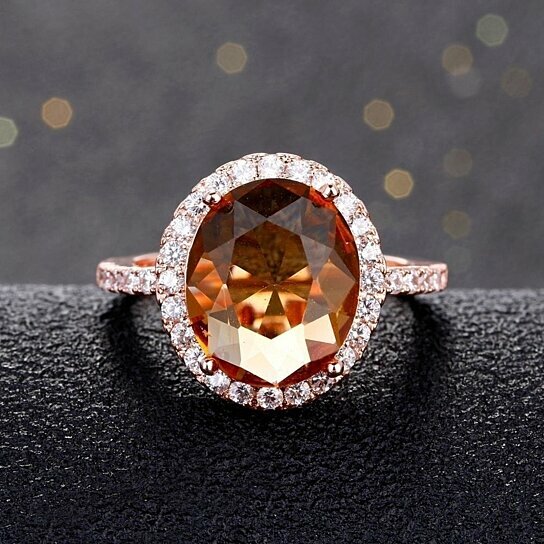 It restrains almost same powers and benefits as that of pricey Topaz therefore it is used as the substitute of Topaz who find it difficult to afford. This gemstone might be an affordable stone but its occurrence is quite rare. This sizzling gemstone is transparent to translucent in nature having vitreous luster. Inclusions and flaws crop up quite less. Few stones consist of almost negligible fractures and are clear stones. Besides, the inclusions if present any are removed during the cutting of rough.